For the last several years, we've been excited to work with Kenosha County Sheriff David Beth on the campaign trail, on election night, and at his annual Golf Outing at Twin Lakes Country Club. We saddled up to the first tee at 11am today, and played a great 18 holes! 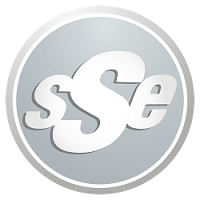 After golf, we had an awesome buffet dinner, some top-notch raffle prizes, and some cool summertime tunes from SSE. A super day on the links! Our afternoon started with a beautiful outdoor ceremony at Meadowbrook Country Club in Racine. Even though we had huge rainstorms the night before, the weather was warm and sunny for our bride and groom's big day! Meadowbrook is one of the premiere venues in Racine county, and they once again did an excellent job. We kept everyone on the dance floor 'til the very end of the night, and even snapped a pic with the groom for the blog. Cheers and congrats, guys! This year's "50's"-themed Relay for Life in Racine was a HUGE success! The Relay is all about Remembering, Fighting Back, and Celebrating. Despite a challenging economy, and some wet overnight and morning weather, Racine still did an incredible job raising over $210, 000 in the battle against cancer! The first song started at 2pm on Friday afternoon, and we played continuously over the next 20 hours until 10am on Saturday morning. In addition to SSE's song selections, we also produced the sound for Zumba, and 3 different Elvis tribute artists. We are proud to have been Relay's DJ and MC for the 10th year in a row, this year may have been the best yet! We welcomed the first weekend of summer with a great grad party at a beautiful home in Wind Point. Burgers and dogs on the grill, great tunes, and an excited crowd made for a an awesome evening! Our graduating guest of honor even jammed with his three-piece group to close out the show. ¡Viva el graduado!